This delicious, light honey is 100% pure. To view value priced option in bulk, click below. This dark, nutrient-rich honey has a strong molasses like flavor. I use a mixture of half buckwheat and half regular honey in my syrups for a milder flavor. To view value priced option in bulk, click below. I use these jars to make one-cup batches of these syrups. They're a great size for fridge storage and gift giving. These are long lasting, dishwasher safe, and easy to screw on and off. This versatile tool is great to use for grating ginger, garlic, and Parmesan cheese. Also for zesting citrus. I use these for the Orange Clove Honey Syrup. They add nutrition and great flavor. 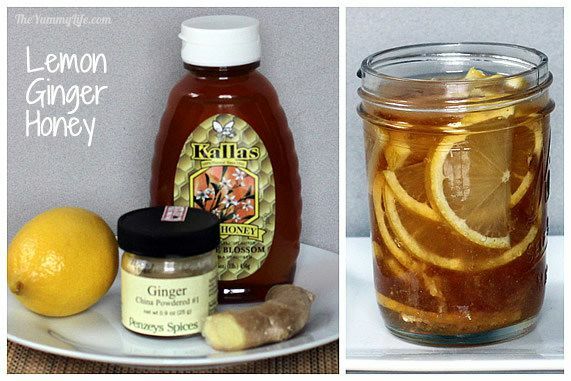 This adds flavor and nutrients to the Lemon Ginger Honey Syrup. I combine this nutritious spice with Clementines for a great flavor combo. These full size sheets work with both laser and ink-jet printers. 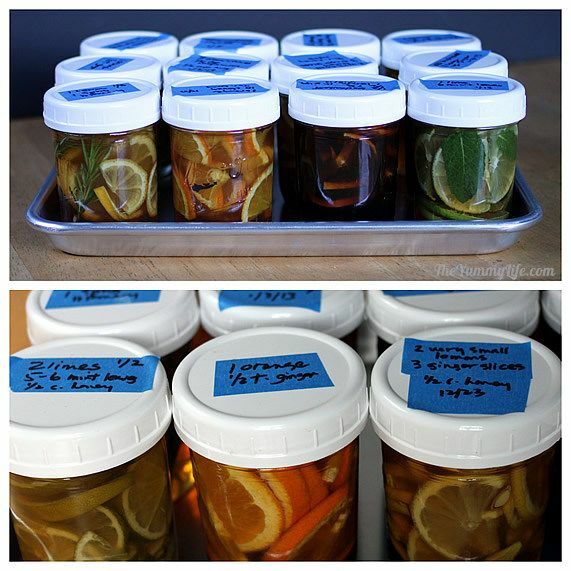 Print a sheet of labels, cut them apart, and adhere them to jars. 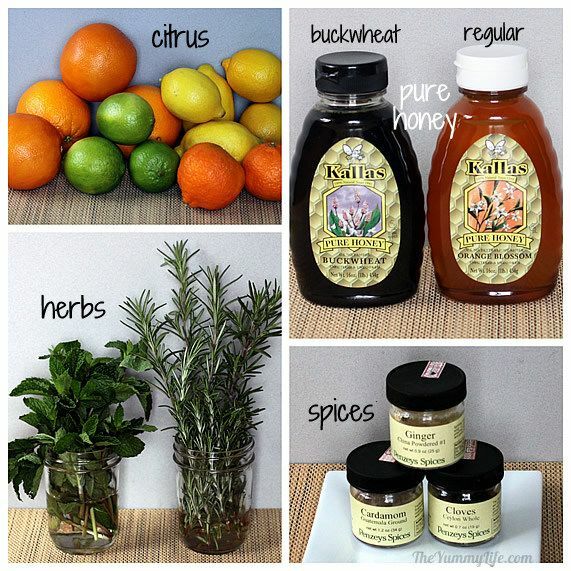 Use these syrups to soothe a cough or sore throat; or stir them into hot tea or water to add yummy flavor. Slice citrus into rounds. Cut rounds into halves or quarters so they will easily fit inside jar. In half-pint (1 cup) jar, add half of citrus, herbs/spices, and honey; stir gently to mix. Add remaining half of ingredients; stir gently. Top off with more honey, if needed, to fill jar. Cover and store in refrigerator. After 4 hours, stir to combine honey with citrus juices that have released. Syrup is ready to use. Will keep in refrigerator for up to 1-2 months. As syrup is used, may continue to top off jar with additional honey. 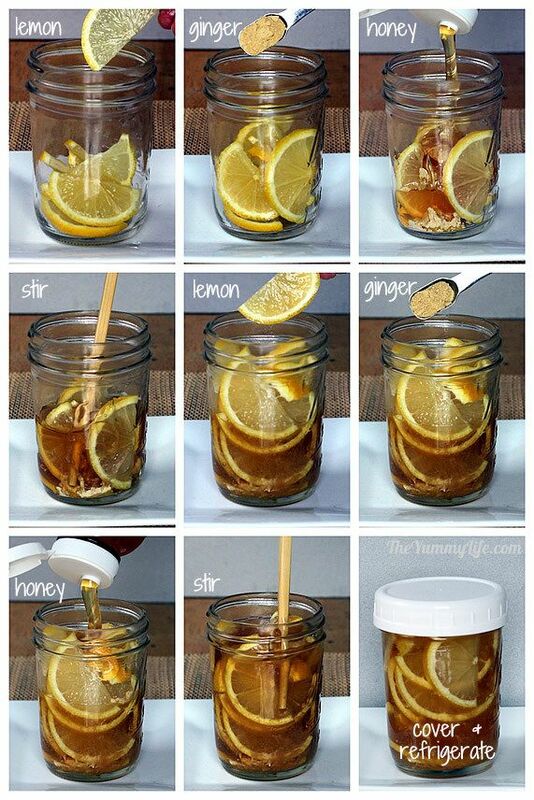 --LEMON GINGER HONEY: 1-2 lemons, 1 teaspoon ground ginger (or 2 tsp. grated fresh ginger), 1/2 cup honey (or enough to fill jar). 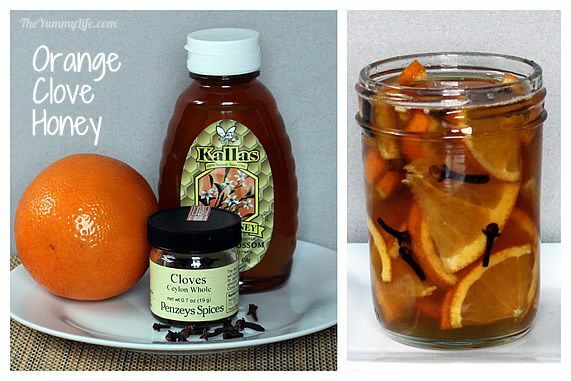 --ORANGE CLOVE HONEY: 1/2 orange, 16 whole cloves, 1/2 cup honey (or enough to fill jar). Optional: 1/2 teaspoon ground cinnamon also may be added. 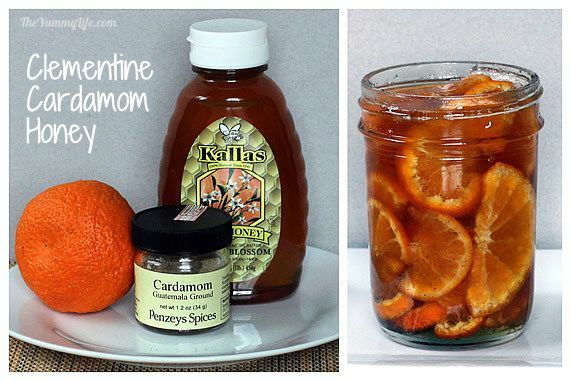 --CLEMENTINE CARDAMOM HONEY: 1-2 Clementines, 1 teaspoon ground cardamom, 1/2 cup honey (or enough to fill jar). 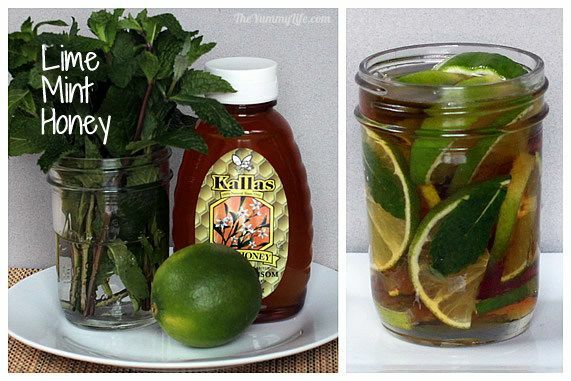 --LIME MINT HONEY: 1-2 limes, 6-8 fresh mint leaves, 1/2 cup honey (or enough to fill jar). Remove mint leaves from jar after 1 week to prevent spoilage. 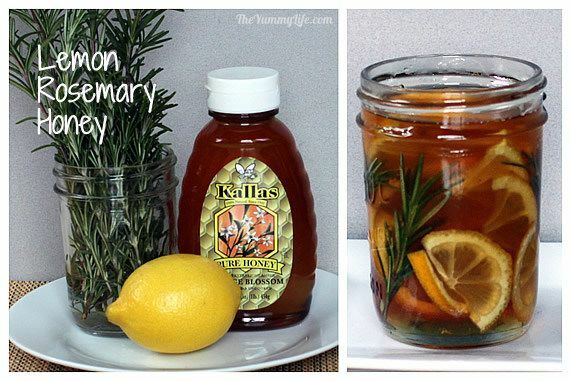 --LEMON ROSEMARY HONEY: 1-2 lemons, 3 sprigs fresh rosemary, 1/2 cup honey (or enough to fill jar). *May use all regular honey, all buckwheat honey, or a mixture of half of each. Many find the buckwheat honey flavor to be too strong, so combining it with regular honey is a good compromise. Here are 5 easy-to-make, no cook, naturally flavored honey syrups that can be a home remedy to soothe a sore throat or cough. They're also a tasty way to add natural, nutrient-rich flavors to hot tea or water. A home remedy that works! 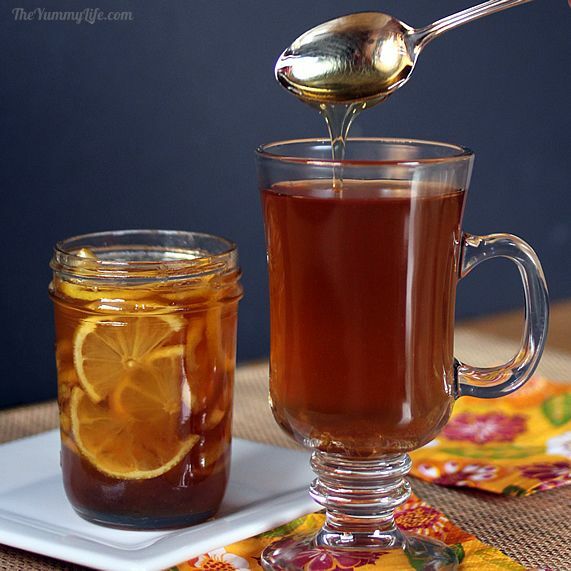 Combinations of honey, lemon, and tea are age old remedies for soothing a cough or sore throat. Turns out there's actually some science behind them; these old remedies can really work! What luck that they taste good, too--way better than those drug store cough syrups. Studies have shown that honey can calm a cough as well as, or even better than, over-the-counter cough medicines. Honey has antimicrobial and antioxidant properties and can fight bacteria. Combine it with the nutrients in lemons & other citrus, herbs, and spices, and you've got a natural, delicious way to treat cold and flu symptoms. 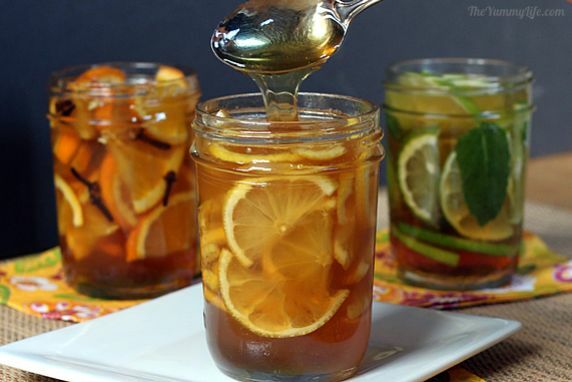 Blends of honey and citrus can be swallowed straight from a spoon or stirred into hot water or tea. The steam and warmth of hot tea and water are also soothing to sore throats and can relieve stuffiness. Warning: Never give honey to a child younger than age 1 due to the risk of infant botulism, a rare but serious form of food poisoning. A great gift for a sick friend or tea lover! I always want to do something for a friend who is under the weather, but never know how to help. A jar of one of these syrups is just the thing. They are such delicious stir-ins for flavoring hot tea or water, that they make a great gift for tea loving friends, too. I have a printable gift tag you can attach to the jar. You'll find it further down in this post. My kitchen laboratory. 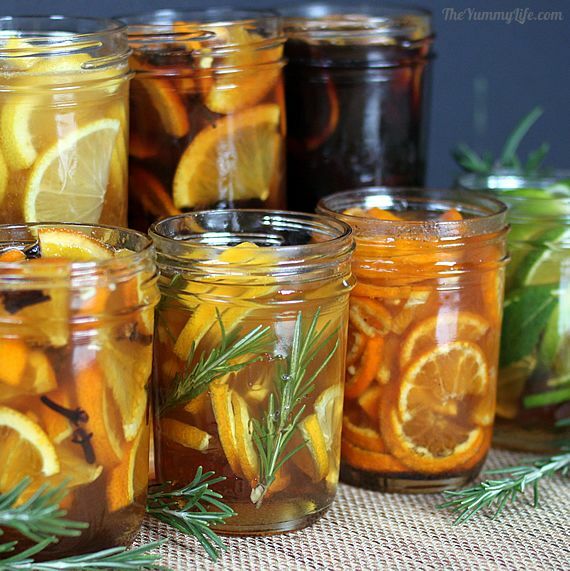 After seeing a variety of honey and sore throat concoctions on Pinterest (see links at bottom of this post), I've spent some time over the past couple of months experimenting with infusing honey with different blends of citrus, herbs, and spices. My goal was to create combos that taste good and are thought to have healing powers. Disclaimer! I have absolutely no training in nutrition or medicine. My syrups are all based on information I've gathered on the internet. Of course, if you are experiencing severe cold or flu symptoms, or have diabetes or other health conditions, you should consult a doctor. I settled on 5 favorite flavor combinations that I'm sharing today. Truth is, they're not just for soothing a sore throat or cough. These syrups taste fabulous stirred into hot water and tea even if you aren't sick. I've loved having them on hand for flavoring my afternoon cup of tea. honey -- I used regular pure, unfiltered honey and buckwheat honey. I initially purchased both at Whole Foods, but found a better bulk price on Amazon. Organic, washed citrus recommended. Because the fruit isn't peeled, I highly recommend using organic citrus in these syrups. Wash it well, too, to remove any possible contaminants. Unprocessed, local honey is best. There are various degrees of processing available. Raw honey is the least processed and has the most nutrients. It is however more expensive and less widely available. If using regular honey (not raw), look for 100% pure, unfiltered, unheated varieties. I found some at my grocery store. When honey is exposed to high heat it loses many of its nutrients and benefits. Avoid pasteurized honey that has been exposed to high heat. Microwaving honey is not recommended. Honey comes in many varieties with different flavors depending on where the honey bees collected their pollen. 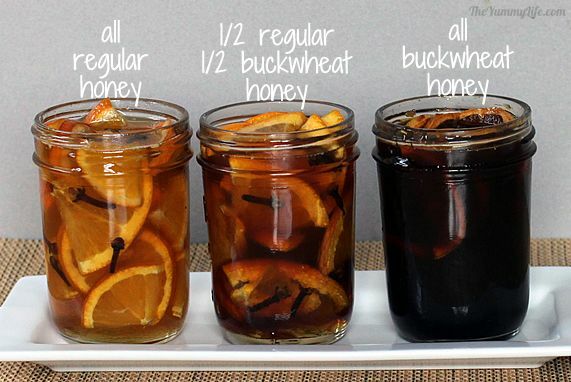 The darker the honey color, the stronger its flavor, and the higher its nutrients and antioxidants. Buckwheat honey is among the most nutrient rich honeys and has been found to be an effective cough suppressant. It is very dark and has a strong molasses flavor. Some like it, some don't. I prefer to mix it half and half with milder honeys for the best flavor & nutrient combo, and to save money (buckwheat honey is more expensive than lighter honeys). You can read more about buckwheat honey here and here. 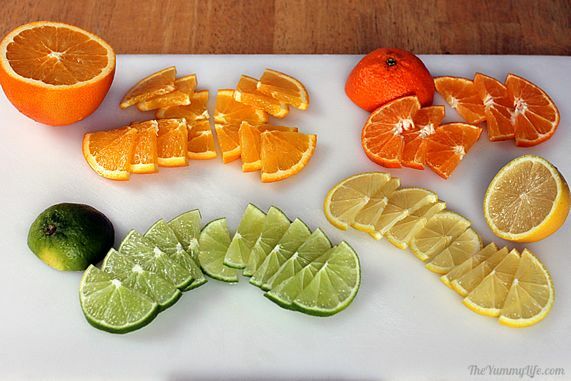 Slice the citrus into rounds. I quarter the rounds of larger citrus like oranges, and half the rounds of limes, lemons, and clementines. Using ginger. I tested these syrups using both fresh and ground dried ginger, and ended up preferring the ground dried version for the best & easiest flavor punch. Plus, I didn't have to worry about the dried ginger spoiling. (You still get the nutritional benefits of ginger in it's dried form.) If you prefer to use fresh ginger, I recommend grating it rather than slicing it. In my samples using sliced ginger, I could hardly taste the ginger--grating it helped. 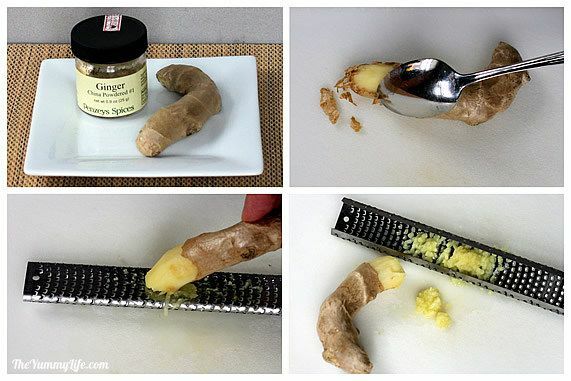 Fresh ginger tips: Peel it easily with the tip of a spoon. Grate it with a Microplane. Add half of the lemon slices, then half of the ginger, then half of the honey; give it a stir with a chopstick, table knife, or other long thin object. Move the lemon slices around to make sure the honey runs between them. Repeat with the remaining lemon, ginger, and honey; stir and top off with more honey, if needed, to fill the jar. This can be done in any size jar. I used half-pint (1 cup jars). The jars should be approx. 3/4 full with citrus. This allows room for at least 1/2 cup of honey per jar. Hint for assembling prettier jars (if you care about that): place some of the lemon slices vertically down the sides of the jar so that full slices are visible from the outside. They tend to stack horizontally otherwise. From thick to thin syrup. Within 3-4 hours the syrup is ready to use. 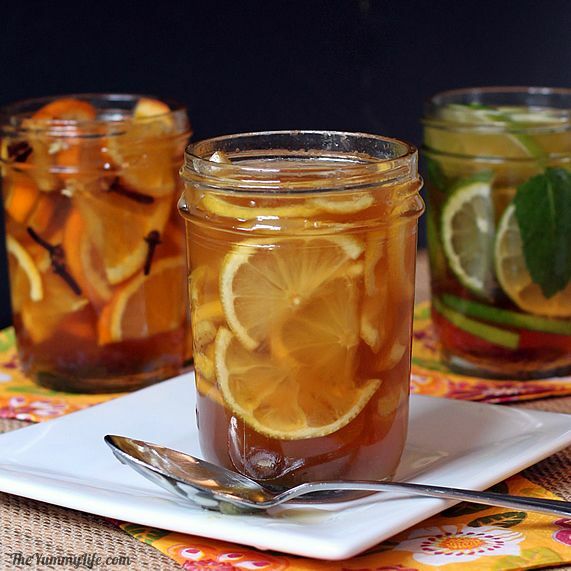 The honey draws the juices out of the citrus, so give it a stir to combine the honey and juice. The result is that the thick honey transforms into a thin syrup consistency. 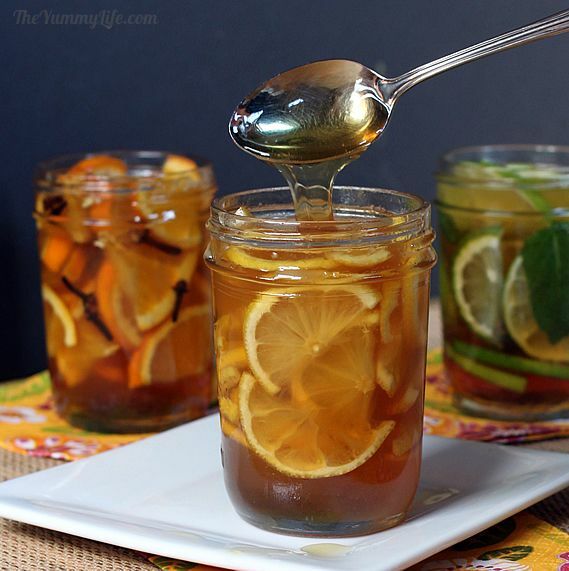 If you prefer a thicker consistency, increase the ratio of honey to citrus in your jars. Another way to thicken this is to heat & simmer the mixture for approx. 15 minutes; the honey and pectin in the citrus will naturally gel as it cools. However heat destroys many of the nutrients. Personally, I'm happy with these in a thinner syrup consistency so that I benefit from as many nutrients as possible. These are my favorite combinations of the ones I tested. 3 honey combos. Below are the Orange Clove Honey Syrups made with different honey combinations. all buckwheat honey -- honestly, I didn't like the flavor of this one at all--way too strong for my palette. Storage and shelf life. These should be covered and stored in the refrigerator. As you use the syrups, you may continue to add more honey to the jars to keep them full. They are good for at least 2-3 months, maybe longer. Honey is a natural preservative; and citrus has a low pH (high acidic) level that gives it preservative power, too. If you add other more fragile fresh ingredients (like mint leaves), the syrup may not keep as long. I haven't tried using food-grade essential oils in these, but that may be another option for adding flavor and nutrients that won't spoil. Swallow a spoonful or two of honey syrup to soothe a cough or sore throat. Stir a heaping tablespoon (or more to taste) into a cup of hot water. Stir a heaping tablespoon (or more to taste) into a cup of hot tea. A great gift for an ailing friend or tea lover! 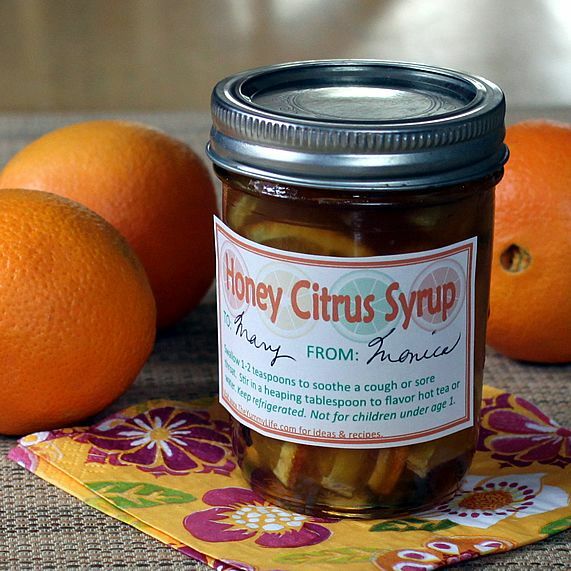 Print a sheet of these tags for adding the finishing touch to a gift jar of honey citrus syrup. Print these on card stock, cut them out with scissors, punch a hole in the corner, and hang them from a ribbon or string. Print them on sticker paper and stick them to your gift. Or, stick them on with tape. If you don't have a printer or specialty papers, you can have a store with printing services download and print them for you. These make a unique, thoughtful get well gift. Or, an "any time" gift for tea lovers. I've been fortunate not to have caught the flu that's been going around. Nevertheless, I've been stirring these tasty syrups into my hot tea regularly. They give it just enough flavor and sweetness. 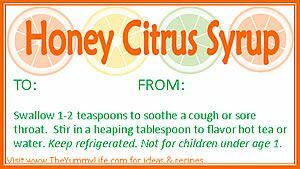 Home Remedy for sore throats, coughs, and congestion from Good Food Matters.